There is rarely a day without doubt, but that should not chain us to low expectations or a misguided acceptance of today’s status quo. What I am starting to see is that doubt carries with it a safety of sorts. It provides a shift to Plan B when hopes fall through or efforts fall short. This morning, the part-time grandma who works at Abraham’s school met student after student as they exited school buses. Her 8:30-9:00 goal each school day is to assist the children from bus to building in a safe and orderly fashion. I watched that single sentence work its way into several young hearts. I saw sad children quietly walk up the sidewalk, and by the time they reached the building a belief in ‘what could be’ showed in their posture and gait. Young souls captured the elder’s energy like a camera, and it flipped the possibilities of their day. Doubts about getting through whatever personal battles they have were partially lifted – maybe for just a moment – but hope worked its way in, and that is what matters. A few extra children walked in to a school happy today. That easier, low-conflict start could end up restoring an empty world for any one of those kids or perhaps, even for one of their teachers with whom they spend so much time. 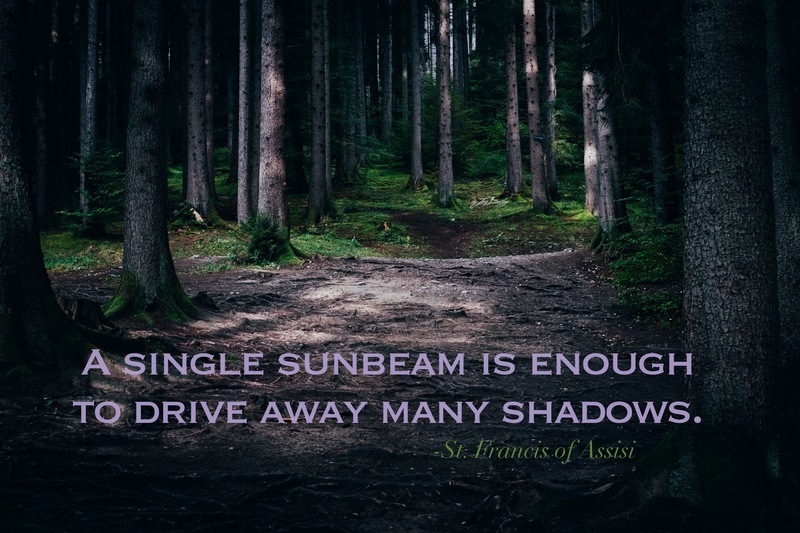 The shadow of doubt can cover the glory in our day, but a single ray of hope can alight thick shrouds of insecurity with texture and certainty: providing a grip of hope to keep a life from slipping away. We can be that hope for others. All we have to do is gloss our actions and words with tolerance instead of criticism. Unless we are personally responsible or invested (parent, officer, official, or mate), there’s little chance our disapproval will affect the listener at all anyway; so why bother? Give a smile to those who don’t have one. Offer simple sentences of hope to those in need. Notice what people do right especially during times of struggle. Listen to listen and not to reply. When we make any of these changes within us, we give others around us a chance to thrive instead of wither: nourishing the personal landscape of our world instead of draining it. Great reminder to me…..I am the first classroom as you enter the school. I try to get in the hallway to greet all the kids in the morning, but some days, I don’t make the effort. I need to be there with a positive greeting everyday!! That is great to hear, Chris. May tomorrow bring a positive boost to your morning and give the students and teachers around you a happy start!